We all know that a good domain name matters. When you are doing any sort of marketing, your call to action will often be to get people to your website – and if you choose a URL that doesn't make sense or is hard to remember, you are just making it hard for your customers to find you online. 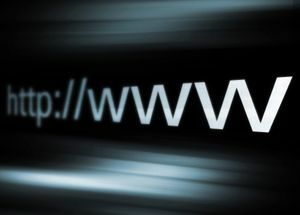 Yet despite this almost universal understanding that domain names matter, many small businesses make the same mistakes repeatedly when it comes to domain names. Pitfall #1 – Automatically using your business name. It may seem like the best thing to do is to take the exact name of your business and append a “.com” to the end of it. The problem is, sometimes your business name is too long, or your customers may know it differently. Pitfall #2 – Not reading it together without caps. One thing that is easy to forget about domain names is that when someone reads it without any uppercase letters, the words run together. So if your small business lets people trade books and in the real world it’s called “The Books Exchange” – if you register that name online (www.thebooksexchange.com), you inadvertently just gave your site a whole new meaning. Pitfall #3 – Assuming the best URLs are taken. Last year I finally registered www.rohitbhargava.com. You might think that couldn’t have been that hard, but I have have trying to get it for more than a decade (literally). How did I finally get it? Many domain names that have been registered for years come back on the market after their owners fail to renew them. So keep checking … you dream URL may become available any month. Pitfall #4 – Thinking people can spell, or that they all spell the same way. One of the basic truths about people is that they can’t spell seemingly simple words. And even if they can, across different cultures, various words are spelled differently. Traveler has one “l” or two, words like “organize” with a “z” change to “organise” depending on where you are. As much as possible, try to use words that are easy to spell and are spelled consistently. Pitfall #5 – Not registering common alternate versions. Sometimes no matter what you do there are going to be multiple ways that people will try to find you. Coca-cola will always have to register www.coke.com as well as their full name. Think about the common alternatives for your business: for example, plurals, or versions with qualifiers like “the” or “a” in front of them, and register those. Even if it just captures one more potential visitor to your site, isn’t that worth the extra $10 a year? Pitfall #6 – Failing to use relevant keywords in a URL. One of the best ways to get better Google rankings is by having a URL that has a particular relevant search term or keyword as part of it. So if your entire small business is focused around shoes, try your best to get that word into the URL you do choose. Your site will likely rank much higher on search engines as a result. NOTE: This post is part of Small Business Friday (SBF) – a weekly feature to share marketing ideas for small businesses and was originally published on the Amex Open Forum site.